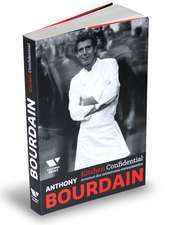 Not final jacket image. An impassioned and joyous memoir from this unconventional physician and writer. With honesty and humour Sacks writes about his love affairs, both romantic and intellectual, his guilt over leaving his family to come to America, his bond with his schizophrenic brother, and the writers and scientists who influenced him. 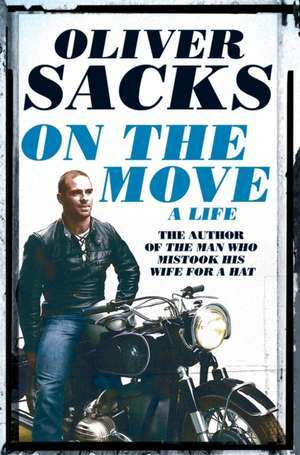 Oliver Sacks is the author of twelve previous books, including "The Mind's Eye, Musicophilia, The Man Who Mistook His Wife for a Hat, " and "Awakenings" (which inspired both the Oscar-nominated film and a play by Harold Pinter). 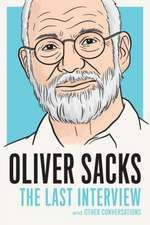 "The New York Times" has referred to Dr. Sacks as "the poet laureate of medicine," and he is a frequent contributor to "The New Yorker" and "The""New York Review of Books." He lives in New York City, where he is a professor of neurology at the NYU School of Medicine.